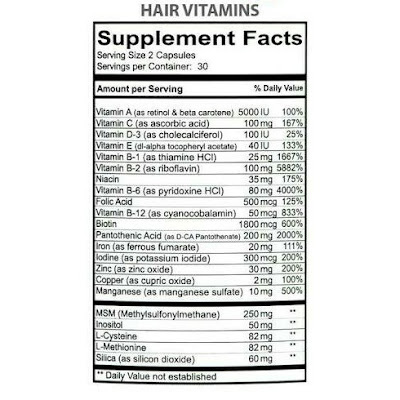 Remember our last post ' Hair growth pills....do they work?" Well, a lot of people have tried hair growth supplements and one of the major complaints was acne. "Vitamin B12 modulates the transcriptome of the skin microbiota in acne pathogenesis" linked Vitamin B12 to development of acne. "......analysis revealed that the transcriptional profiles of the skin microbiota separated acne patients from healthy individuals. The vitamin B12 biosynthesis pathway in the skin bacterium Propionibacterium acnes was significantly down-regulated in acne patients. We hypothesized that host vitamin B12 modulates the activities of the skin microbiota and contributes to acne pathogenesis. To test this hypothesis, we analyzed the skin microbiota in healthy subjects supplemented with vitamin B12. We found that the supplementation repressed the expression of vitamin B12 biosynthesis genes in P. acnes and altered the transcriptome of the skin microbiota. One of the 10 subjects studied developed acne 1 week after vitamin B12 supplementation. To further understand the molecular mechanism, we revealed that vitamin B12 supplementation in P. acnes cultures promoted the production of porphyrins, which have been shown to induce inflammation in acne. Our findings suggest a new bacterial pathogenesis pathway in acne and provide one molecular explanation for the long-standing clinical observation that vitamin B12 supplementation leads to acne development in a subset of individuals." "Vitamin B12 tweaks how genes behave in the facial bacteria of some people who normally enjoy clear skin. The activity changes of the facial bacteria promote inflammation and lead to pimples". This is because by providing the bacteria with B12 available in the supplements, it changes the pathway it uses to make its own. In this new pathway, precursors of porphyrins are made which causes pimples. Source: https://www.researchgate.net/publication/279307715_Vitamin_B12_modulates_the_transcriptome_of_the_skin_microbiota_in_acne_pathogenesis [accessed Jan 14, 2016]. 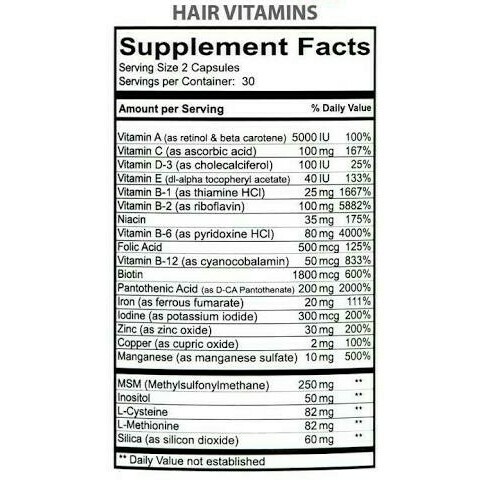 What has this got to do with hair growth pills , you may ask? Note an excess in the recommended daily value of B12...overshot by 833%! In the study, 1 person out of the 10 subjects with clear skin tested, developed acne which explains a bit why some people take these supplements without a zit in site while others bow under the weight of the newly developed pimples! How do you know if you may be the one that didn't get away? Well, according to the study (you can download the full paper by clicking the link above), one predisposing factor is being acne prone. People with prone to acne seem to possess strains of P.acne different from people who aren't prone to acne. This explains a lot, right?! Is Vitamin B12 a complete villain? Vitamin B12 helps in preventing anaemia . It works closely with folic aid in the formation of red blood cells. It supports DNA health as it plays a part in the conversion of RNA to DNA. It also plays a key role in the proper functioning of brain and nervous system. Recommended daily allowance for adults is 6mcg/day. Good sources of this vitamin are found in liver, kidney, eggs, milk, meats and fish. 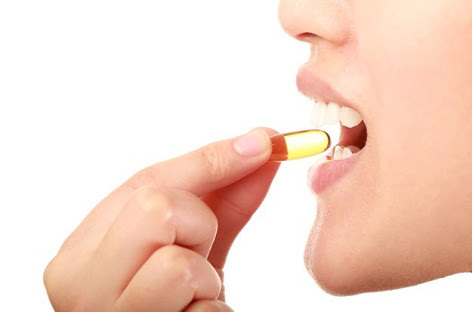 It is not found in plants which is why supplements may be necessary for strict vegetarians. As usual, before taking any medications, please consult your doctor. Surprisingly supps have never broken me out but then again, how would I know. One side of my face stays broken out LOL. Seriously though, I attribute it to my eating of wheat products which I recently discovered I as allergic to. I wonder how many of these supplements contain wheat and that could be the culprit.